The Silk Road is an engaging reframing of a widely mentioned but too little understood construct. Tracing the story from pre Common Era times, Valerie Hansen offers a new history that draws on the oldest of original source information—literally the scraps of records, long ago discarded, subsequently repurposed, and recently discovered. The idea of the Silk Road was hardly known to the West until the late 19th century. Studying this fascinating topic is daunting, because there are few existing, extant records. This book is possible only because of the author’s piecing the story together from numerous diverse sources, such as most fascinatingly by reading a court record “written on discarded government documents, which were then sold as scrap paper, and finally used by artisans to make a paper garment for the deceased,” discovered in a tomb 1300 years later. Such discoveries are the knowledge foundation upon which this noted Yale history professor has constructed her story. Rather than being fixed, established, and readily recognized, the route of the Silk Road is diverse and meandering, passing through desserts and the largest of mountain ranges. The journey of those who traversed the Silk Road was: slow, on average covering just 10 to 13 miles per day; dangerous; dependent on guides and guards for protection; exhausting; requiring rest and recovery in the distant oasis communities; and long in distance and duration. Stretching in the main from central China to the Middle East, the Silk Road extends from Japan to Jerusalem. The Silk Road was not a road per se but a shifting path. The commodity of exchange was not just silk but varied and numerous commodities. The communities the vaunted Silk Road passed through were not commercial centers but small agricultural villages. The volume of trade was entirely disproportionate to the image, as contemporary perception far exceeds the reality. Although in aggregate the trade volume, at least relative to the notoriety of the Silk Road, was diminutive, some transactions loomed large in both symbolic and physical terms. The Silk Road is part geographical mystery tour, village economic base reconstruction, invention and innovation history, profiles of local merchants' trading practices, prescriptions re how various enterprises ranging from monasteries to shops to governments should be run, cultural commentary concerning the connections and differences between varied and linked places, an assessment of China's military might, discussion of nuanced and big issues surrounding archaeology processes, and much more. Among the treasures of this volume are the fabulous graphic images, ranging from an 1877 map, the first to trace the generalized route of the Silk Road, to an evocative depiction of a 900-mile trip across the Taklamakan Desert by boat, to images, including of wall paintings, artifacts, and Niya's ancient Buddhist stupa. 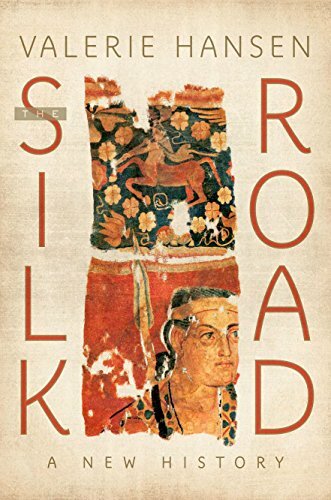 Readers of The Silk Road will find any number of illuminating insights that may be the source of provocative conversations concerning big issues, the very different yet commonly important roles of China and Iran in contemporary society, trade and culture patterns, and much more. Indeed, this engaging, illuminating book may and should be profitably read at several levels on multiple occasions.